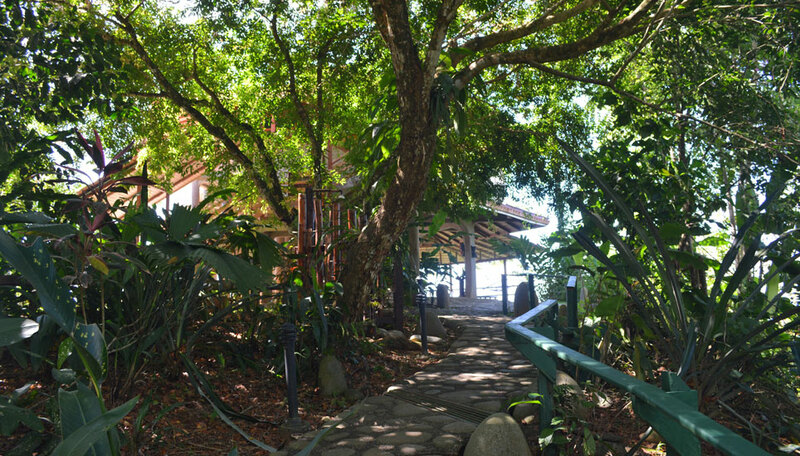 Wake to the sound of howler monkeys in the forest and waves on the shore, spend days exploring by land and sea, enjoy tasty, nutritious cuisine and relish in the pristine surroundings at La Cusinga Lodge. 5kms south of Uvita in Ballena Marine National Park, Bahia Ballena, south Pacific coast. La Cusinga Lodge is open year round. 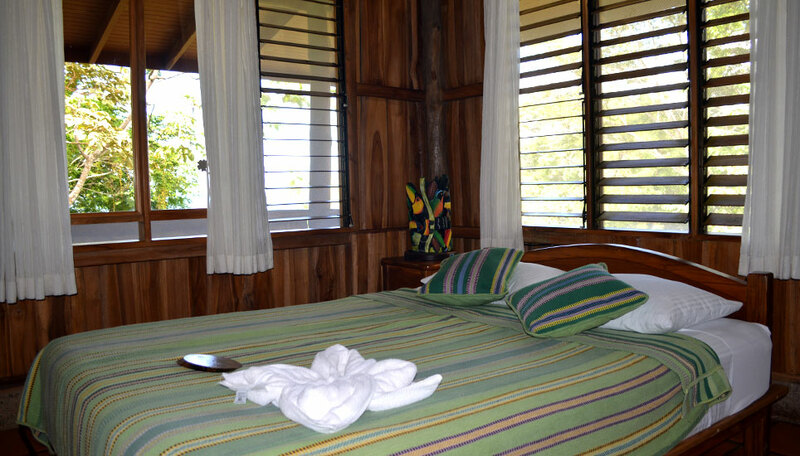 The lodge is set in a private forest reserve in Ballena Marine National Park. This is a pristine setting, where you can immerse yourself in the lush forest as you follow trails looking and listening for wildlife with the aid of an experienced guide. 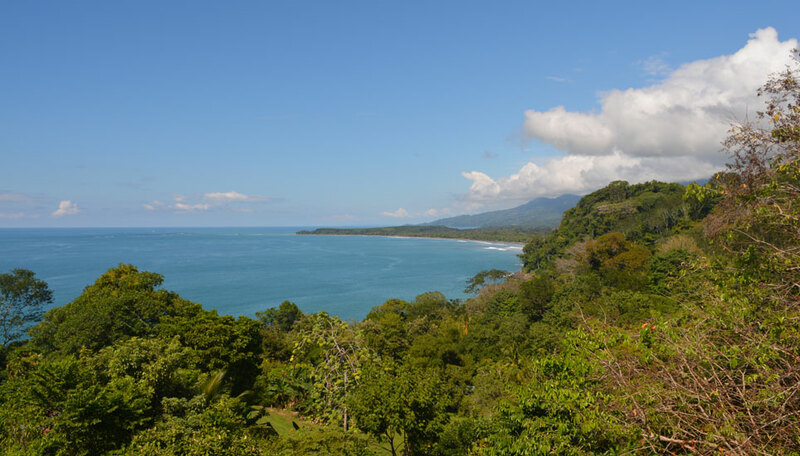 The national park and coast, Bahia Ballena, are both named after the whales that visit twice a year, while dolphins can be seen all year round. When you want a rest from hiking and wildlife watching, simply head down to one of the lovely beaches for some quiet downtime. The lodge provides comfortable, en-suite accommodation in wood and stone cabins, each with a private balcony, terrace or garden facing the sea. Indulge in therapeutic treatments at the spa, enjoy the benefits of yoga, and savour delicious food prepared by the experienced and enthusiastic chefs using locally-sourced organic produce. A stay at La Cusinga Lodge is good for mind, body and soul. Why go to La Cusinga Lodge? Staying at La Cusinga Lodge you’ll be able to spend time exploring the pristine rainforest, enjoying its sights and sounds, watching wildlife among the lush foliage and discovering tumbling waterfalls. 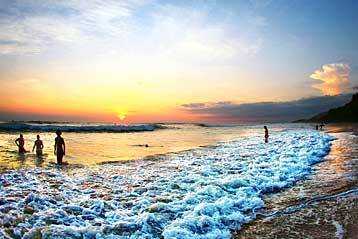 You also have beaches and ocean on your doorstep, with a range of watersports plus whale and dolphin cruises. At the lodge you can reap the benefits of a massage or yoga session, dine on healthy and flavoursome organic cuisine, enjoy dramatic sunsets over the ocean and laze in a hammock on your private terrace. 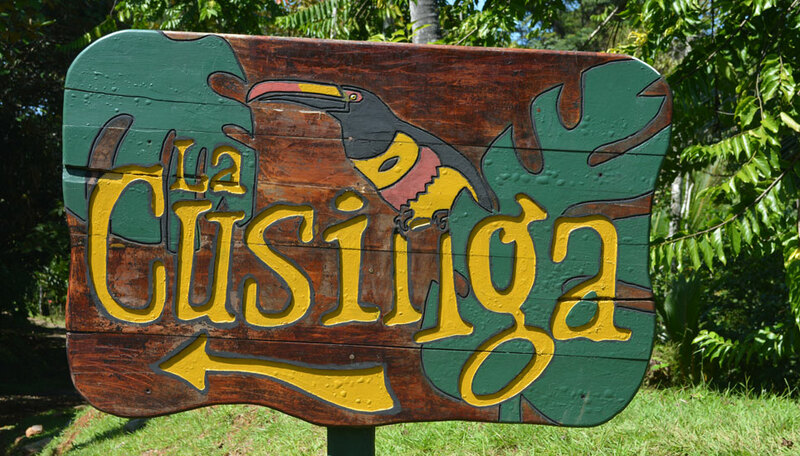 La Cusinga is on a 250 hectare private reserve of primary and secondary rainforest. Walk along the network of trails, with or without one of the naturalist guides, and you are likely to see colourful toucans, macaws, hummingbirds and howler monkeys. The lodge offers seasonal humpback and pilot whale watching trips, year round dolphin trips, and between May and October hawksbill and olive ridley turtles come ashore on Bahia Ballena’s beaches to lay their eggs. Accommodation, daily breakfast, access to the walking trails on the property. There are several rooms of varying sizes, each with an en-suite bathroom with hot and cold running water, and a private balcony, terrace or garden. All are constructed from wood sourced in the lodge’s own forest, local stone, shell and sand. Manu – the honeymoon suite is a secluded bungalow with a king size bed, stone bathroom and shower and private garden with ocean views. Paloma & Ilan – these rooms have similar facilities and layouts. Each has 2 queen beds, large windows and an ocean-facing balcony. These rooms sleep up to 4 people. Colibri – this is a large room with 2 queen beds and 1 twin bed, so can accommodate groups and families. It has a private balcony overlooking the Pacific Ocean. This room has disabled access. Colibri 2 – located below Colibri, this is a smaller room with 1 queen bed and a balcony with ocean views. Gemela 1 & Gemela 2 – these rooms are large, each with 2 queen size beds, picture windows and a terrace facing the ocean. Tucan – this is a group room with 6 sets of bunk beds, designed for visiting researchers, groups of students, large families and people on yoga retreats. It has a good-sized ocean-facing balcony. Rana – this group room is similar to Tucan, but has 5 sets of bunk beds and 1 queen bed. Other facilities are the same as Tucan. There is free Wi-Fi internet access in public areas.